It seems that post-apocalyptic games have become rather popular these days, and the success of Bethesda’s Fallout 4 (and its mobile incarnation Fallout Shelter) is certainly proof of that. And now Ubisoft has released the launch trailer for Tom Clancy’s The Division, an action game loosely based on the writings of American novelist Tom Clancy. The author usually dealt with political intrigue, covert operations and international conflicts in his writings, and the game deals with these themes as it’s set in a ruined New York city in which a group of tactical agents (The Division) are trying to put things right in the beleaguered city. Judging by the trailer, it is clear that the city is in a state of chaos after suffering a biological weapons attack. 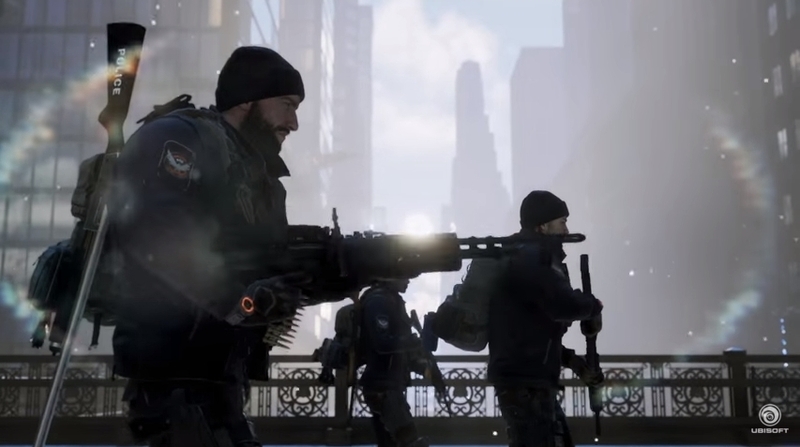 And while The Division agents attempt to put order in New York, other groups like the Cleaners, which are also seen in the trailer, are following a “scorched earth” policy, and cleansing the city with their deadly flamethrowers. Ubisoft’s The Division is actually based on a real-life study conducted by the US government back in 2001, which was called Dark Winter. The study looked at whether the government could contain a biological weapons attack after thousands of people were infected with the smallpox virus by terrorists, but this proved futile as the disease ended up spreading to other US states and even worldwide. This led to mob violence and chaos, as seen in The Division’s fictional New York. 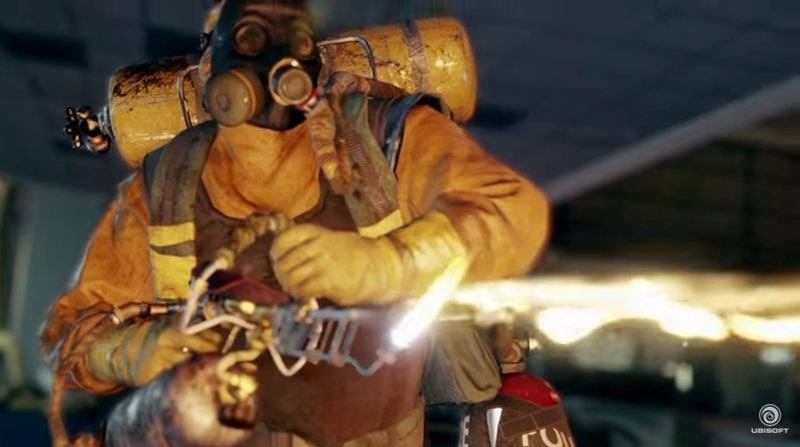 Fight fire with fire… Players will face groups like the Cleaners in The Division. But going back to the game, it is clear that Ubisoft is attempting to create a persistent online universe for players to lose themselves in, much like Bungie’s action game Destiny did. But for the game to remain appealing throughout the years its multiplayer modes need to really standout, and it doesn’t look like The Division’s much-hyped “Dark Zone”, in which players can turn on each other while hunting for the best loot, has much depth. But still, the game’s release date is just around the corner, and perhaps The Division’s single-player campaign (which can also be played cooperatively with others) will be solid and enjoyable throughout, making up for any multiplayer deficiencies the game may have at launch. Ubisoft has also stated that the PC version of the game will not be limited in any way, which is good news for PC gamers who’ve sadly had to put up with a few poor PC releases in recent times. Note: Tom Clancy’s The Division will be released on March 8, 2016. Available on PS4, Xbox One and PC. Next: Alan Wake’s Return Trailer Features in Quantum Break: Is Another Alan Wake Game Coming? Alan Wake’s Return Trailer Features in Quantum Break: Is Another Alan Wake Game Coming?